Danielle Williams, the new Executive Director for Dancing Rabbit’s nonprofit, the Center for Sustainable & Cooperative Culture. 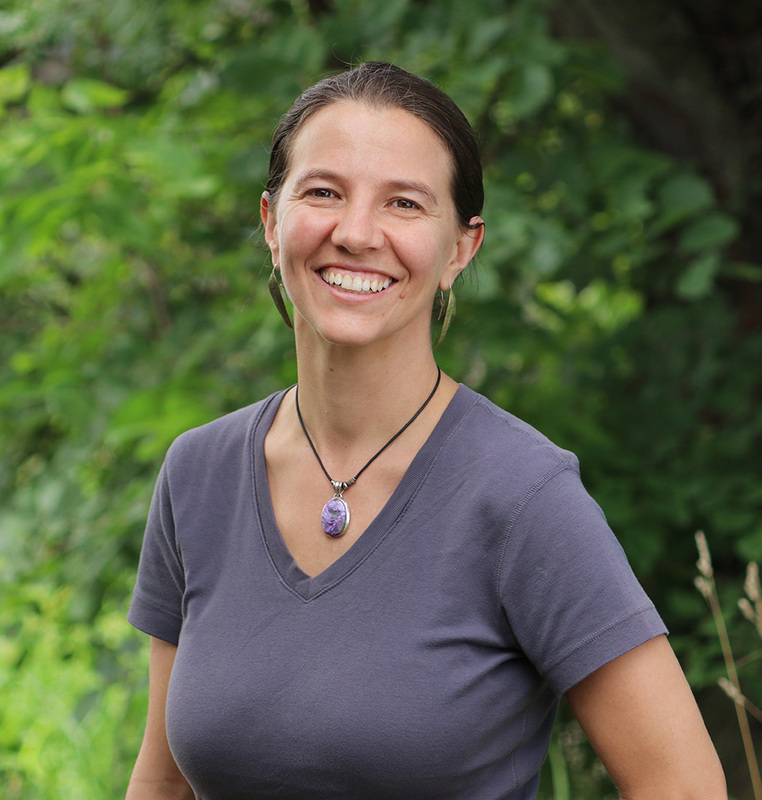 My name is Danielle Williams, and I am the new Executive Director (ED) for the Center for Sustainable & Cooperative Culture, the nonprofit here at Dancing Rabbit Ecovillage. I wanted to tell you a bit more about me, and give you an update on the nonprofit. I moved to Dancing Rabbit Ecovillage in 2012, after living at three other intentional communities in three different countries. My passion for community and sustainability is rooted in my understanding of the potential for what the planet could look and feel like if humans were living in accord with nature, in harmony with each other, and in alignment with their values. Earning a bachelor’s degree in Peace & Global Studies from Earlham College allowed me to see that focusing on what we resist, in terms of the oppressive systems and patterns our culture passed on to us, will never bring about the full transition to a different way of life: we must work to create new systems, and shift the awareness that generates and sustains those systems. Ecovillages and intentional communities are some of these new systems, testing prototypes for human cultures that are thriving, just, and sustainable. Dancing Rabbit Ecovillage residents place environmental impact at the core of our considerations, and we also engage in communication, consensus, and conflict resolution practices that embody an understanding of interconnectedness. I’ve lived at Dancing Rabbit Ecovillage for 4½ years, and before stepping into this position I worked as the Correspondent, answering general emails and coordinating registration for the visitor program, and more recently as the Programs Director, overseeing the nonprofit’s educational offerings. It’s been a month since I transitioned to this new role as Executive Director, and I’ve been looking closely at what we have to offer here that will match what the world wants to learn and experience, in order to help spread the gifts and skills of community and sustainability. This year the nonprofit offered a few programs that we had to cancel due to low registration numbers. On the other hand, we had more applicants to our Sustainable Living Visitor Program than ever before, and our 2nd annual Permaculture Design Certificate Course, offered in conjunction with Midwest Permaculture, was a deeply potent experience for all involved. These facts have us taking stock of what we offer. We’re asking ourselves: what are you, our amazing network of fans and friends, most eager to learn from us here in rural Missouri? How can we be most effective in focusing our education, outreach and research efforts? As one of our allies, we hope you’ll be willing to help us answer these questions. Next week we’ll be sending out a survey, via email and on social media, asking what kinds of programs you would participate in here at DR, and if you have ideas for people or organizations we could partner with to offer powerful, transformative programs in this rich ecovillage setting. Stay tuned for more from me and the Center for Sustainable & Cooperative Culture over the coming months. Thank you so much for what you are already doing to support us in building a more resilient, hopeful world for everyone. P.S. A quick reminder about three easy ways to support us: you can use AmazonSmile (with Dancing Rabbit, Inc, as the beneficiary) when you shop Amazon, make a donation to our nonprofit, or write a review on the Great Nonprofits site. Thank you!